If you're like me and you want to spend more quality time in prayer, meditation and devotion with the Lord; today is the time to start working on it. Today, is a 31 day devotional diary that will assist you as you seek to gain a closer spiritual relationship with our Lord. Let's get started together. Endeavour to start each day in fellowship with God. Click the play button below to listen to the featured poem of the day. There's no better way to start each day than in meditation and devotion with Him. Copyright 2016. 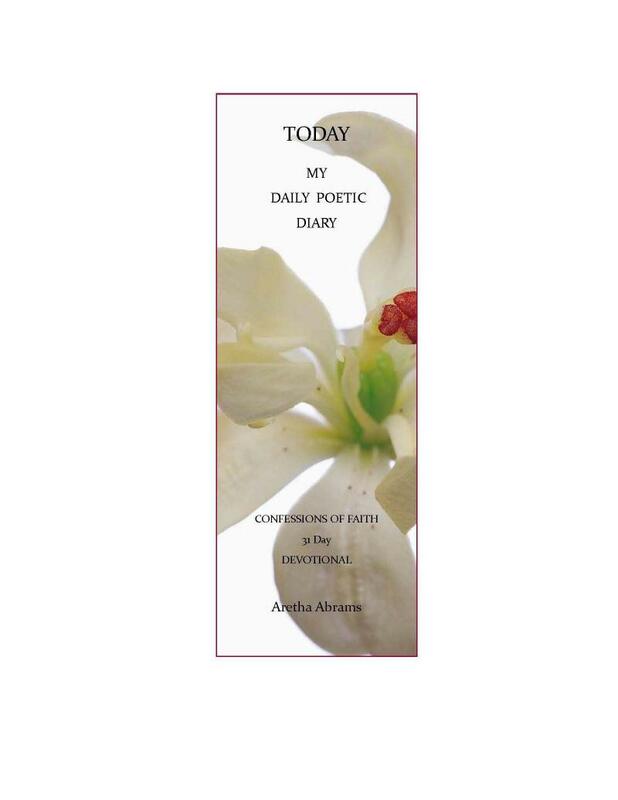 All poems remain the exclusive property of Aretha's Good Books & Inspirations, LLC. Poems except "proofs" and featured poems may be duplicated with expressed written consent from Aretha's Good Books & Inspirations, LLC. All rights reserved.